The Biotage® Initiator+ represents a new generation of instruments for organic, medicinal, materials, nano and polymer chemistry professionals. It is an upgradeable and reliable platform for chemists to make great discoveries. The Initiator+ is a flexible system that utilizes all Biotage vials, from 0.2 to 20 mL, in any order or combination, at any time without system modifications, delivering greater flexibility and direct scale-up from milligrams to grams. Initiator+ can also be upgraded with automation solutions to achieve higher throughput to save time and cost. Typically, most reactions require 2 to 15 minutes of irradiation. 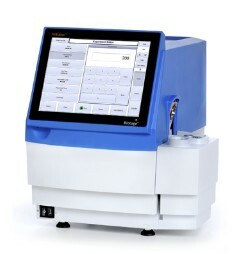 The Initiator system can be upgraded to an automated 8- or 60-position system, it can also be equipped with the SP Wave module for an automation solution for peptide chemistry, complete with vortex mixer and liquid handling. The gripper needs to be adjusted. It misses the reaction vial. There are no threads in Biotage Initiator+ Reviews at this time.